Attitude: Your brand should have one. Your branding agency should not. When it comes to describing what we do, we prefer to keep it simple. and real. Telling your story begins by understanding who you are as a brand, and where you’re going. We help you do this by working as your partner to uncover what makes you unique. A brand is a powerful vehicle for customer connection and loyalty, but only if it’s true to its unique nature. Which is why honesty is always the most powerful attribute any brand can have. The lifeblood of any brand design is focused work in four areas: research, strategy, identity and execution. Before any work can begin it’s important to dig deep to understand the current business situation, the competitive landscape, and your audience’s preferences. It’s the who, what, when, and why of any business communication. We’ll identify and shape a new position based on business objectives and future goals while crafting your unique position in the market. We do this in collaboration with you either through a hands-on branding workshop or a simple, informal questionnaire. Your brand identity solidifies the promises developed in your brand strategy position. It’s the keystone of your brand and informs every aspect of internal and external communications. This is where the manifestation of the brand begins. We apply the brand identity throughout all communications and media, creating a cohesive foundation for strong customer loyalty. It’s up to you to deliver on the promises. For over a dozen years Trigger Design has partnered with B2B and B2C clients of all sizes. We keep our core team small to ensure that senior-level talent works on every project. Which means every client gets the best work possible. Being a part of the design community for so long has enabled us to partner with other experts like marketing strategists, developers and writers. This gives us the flexibility to form streamlined teams based on the project type and client need, rather than incurring the overhead to maintain a large in-house staff. Matthew develops creative strategies, executes design, and supervises a wide range of projects. In his 20+ year career he has directed design teams on new company launches, print collateral programs, annual reports, corporate branding, web design and packaging. 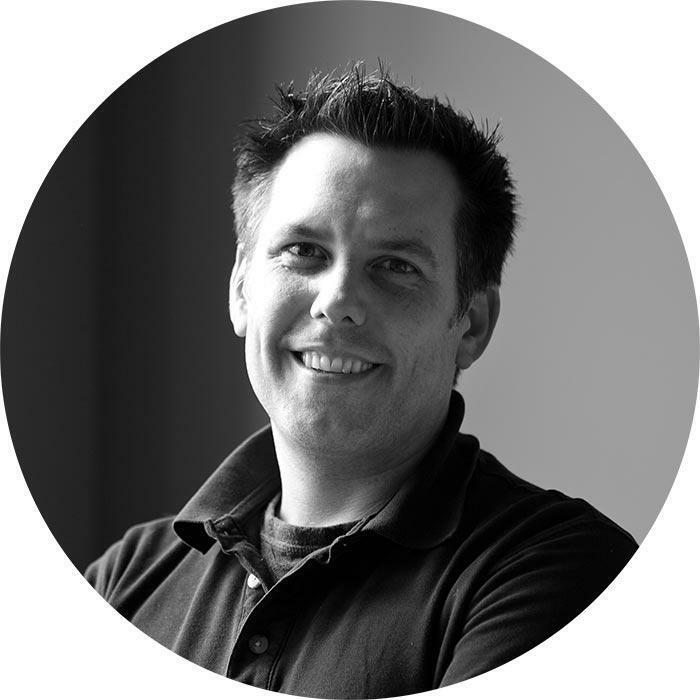 Matt has created memorable work for Align Technology (Invisalign), Genesys Labs, Alcatel-Lucent, BCD Meetings & Incentives, PriceWaterhouseCoopers, Spacenet (Gilat Communications), and Wahlstrom Group, among others. © Trigger Design Inc. All Rights Reserved.